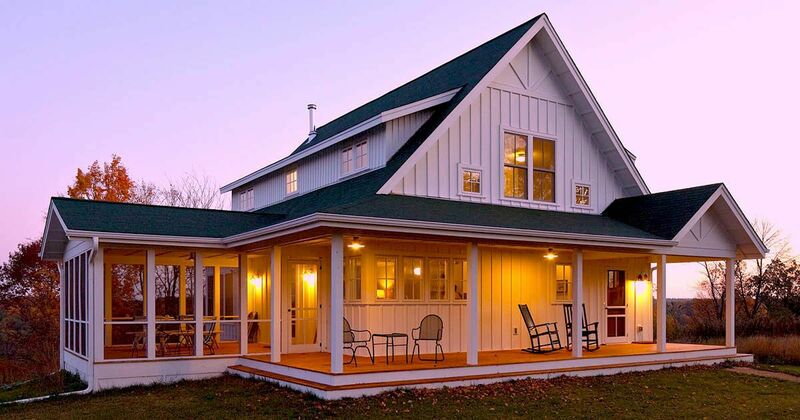 This divine farmhouse sits in the Wisconsin countryside, and it's surrounded by wonderful views of the state's natural landscapes. The home is a classic farmhouse to the core -- it has all the traditional features that have made farmhouses so famous: multiple pointed roofs, large windows, and a porch that wraps around the base of the estate. 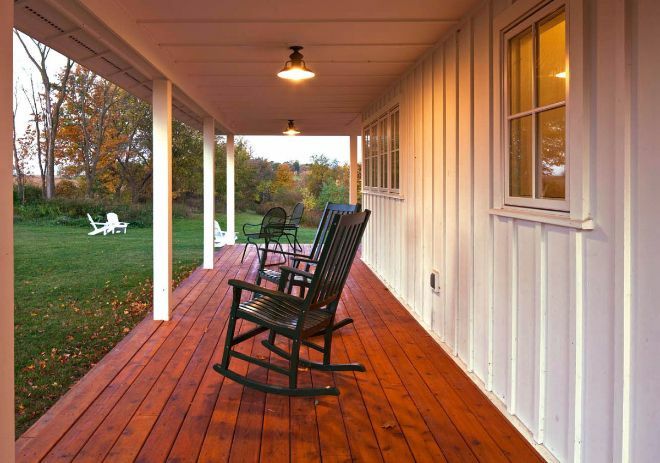 The porch is stained to contrast with the white paint of the house. The color of the porch and roof helps to keep the colors of the house clearly defined. Inside, the kitchen serves as the first floor's main focal point. 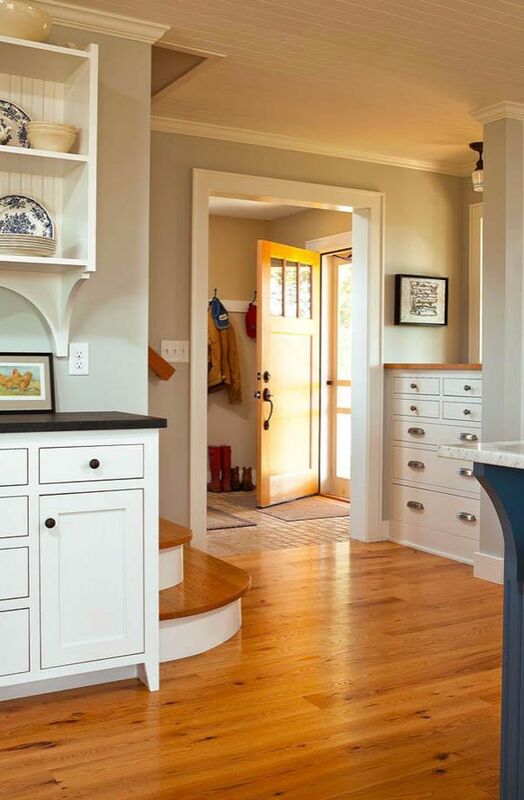 Hardwood floors matched with white paint mirrors the color scheme on the home's exterior. 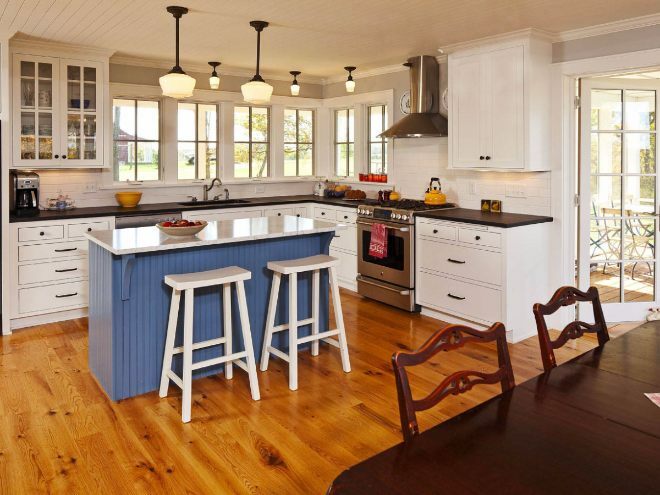 The kitchen is simple and elegant: There are no gimmicks, just functional style. A corner of the living room has large windows that show off the beautiful views outside. The old fashioned wood stove keeps the home's farmhouse aesthetic intact. The bathroom features a timeless, simple design and an immaculate white color pallette. This guest room features quarter window panels that allow for more light. The rear of the house features a sleeping porch for days when mosquitos and other critters can be a nuisance. There are more photos of the farmhouse listed on the SALA Architects website, make sure to share this with your friends on Facebook if you love this beautiful home as much as we do.